That look and function just like the finished package! Drawings, renderings and white samples only tell part of the story. Use a full-printed mock-up to convey the full impact of your packaging! 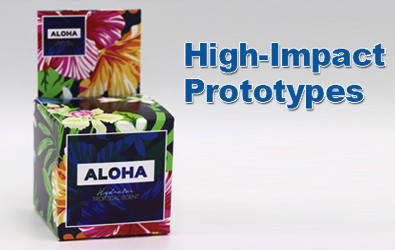 For the most accurate depiction on a prototype, Norka leverages inks and substrates that closely resemble the paperboard and inks used in production. Whether you need a realistic sample for a presentation, trade show, photoshoot or sales sample - Norka will create a full-color prototype that looks and functions just like the finished product. From concept to production completion, Norka uses a collaborative approach to give your product the ultimate shelf presence.